There’s a new way to tie Gele – it’s the Infinity Pleats Gele style. Has your Instagram feed been bombarded with glam pictures of Naija women donning the Ankara Infinity pleats Gele, and you’ve been dying to learn how to tie that new multi-pleated Gele style? In this post, we’re bringing you the video tutorials, scroll down and practice along as you watch the video tutorials that show how to tie infinity pleats Gele with different fabrics – ankara wax print, aso-oke. This is hands-down the best video tutorial that shows everything in a simple-to-understand way – even if you’ve never tied Gele headgear in your life, you will after watching this. Scroll down to watch it – also watch the second video on how to tie pleated Gele headwrap with aso-oke. Enjoy! Items you need for this pleated Gele tutorial: 6 Yards Ankara fabric; some office pins. Watch the step-by-step video above for the start to finish tutorial of how to tie the Infinity Pleats Ankara Gele by yourself. Instruction is by Christiana of Christiana’s Closet, Youtube. 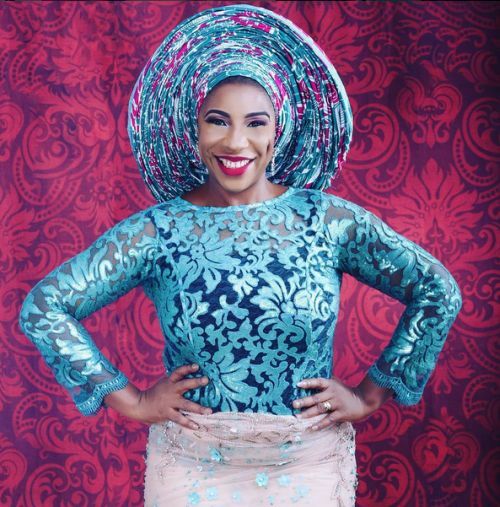 What is the ‘Infinity Pleats Ankara Gele’ All About? Simply put, the Infinity Pleats Gele”is a next-level pleated Gele that is tied with multiple unlimited layers of small pleats at the front and back – sort of, full pleats or infinity/ multiple layers of pleats done on a Gele. This is not a small Gele, you need as much as 6 yards of fabric to get the style right – and so there’s no need to fold the Gele fabric before tying it on your head, like it’s usually done. As you know, bridal and occasion Geles used to consist of a few layers/ pleats, but with this new Infinity Gele style, the pleats are full-on from the forehead to the tip of the the Gele. The layers of pleats run through the entire Gele fabric. Hence the name, Infinity pleats, also called ‘6 yards gele’; some people call it the ‘3D Gele’, and on social media fashionistas are going crazy about this trend hashtaging away with #6yardsGele, #infinityGele, #infinityPleatsGele, #ankaraGele and #ankaraPleatsGele. We just love how this Gele-tying style looks on Ankara fabric, but then it also looks beautiful in other common wedding and occasion fabrics including the aso-oke and plain fabrics. The finished look is a big head-gear, although some people are making it in a smallish and simpler shorter version. ALSO: Top 50 Statement Bead Designs for Weddings and Occasion (spotted on Naija’s most Fashionable Women). Create initial pleats: Before you place the Gele fabric on your head, create some pleats. You do that by using each hand to hold each end of the ankara fabric, then making a few pleats, one by one. Continue until you have about 10 pleats. At this point you should still have some parts of the fabric without pleats. Now, place the Gele on your head – starting from one-quarter of the length. You should have one side of the gele longer than the other. Now take the longer side of the Gele around your head, through the back of your head. When it gets to the front beside your ear, place it over the other pleats you made previously. Next, start creating pleats with this top fabric. As you do this, keep adjusting the fabric to ensure that it’s laying flat, and using your hand to tuck in the white end of the fabric as you go along. Repeat steps 6 to 8, making the pleats, smoothening and adjusting as you go. Continue this process until you get to the end of the fabric. Finish off by tying the two ends of the fabrics to secure the Gele and keep it from loosing. Use some pins to hold down any loose or hanging fabric, and you’ll have the finished look – your INFINITY GELE neatly done. You’ll be wondering how all your 6 yards fabric shrunk into all those layers of pleats. You probably were wondering how to rock this ankara infinity pleated Gele? You think it would only look good when worn with ankara, right? Wrong! I bet you didn’t know it would look good on lace blouse and wrapper. Mrs. Nkechi of NHN Couture always knows how to rock any complex, new trend and you can get inspired from how she combines it below. Gorgeous Madam NHN Couture rocking the Infinity Pleats Ankara Gele Style. She always slays every new trend! In the Nigerian wedding and owambe party scene, recently there’s been a flood of different styles of Gele, and they are so fierce, bold and gorgeous that you cannot afford to ignore them. Thanks to the innovation of our makeup and Gele artists, the pleated Gele as we knew it has grown up. We’re always trend-watching the Nigerian wedding fashion scene, in order to bring you the latest Nigerian bridal and wedding guest fashion – trust us, our readers will never carry last wherever they show up. 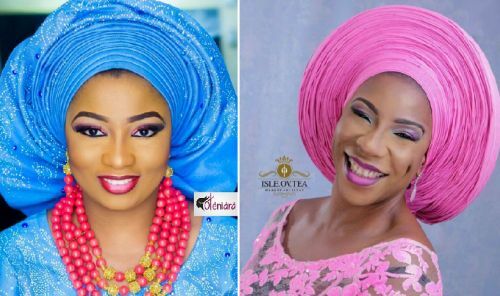 The Infinity Pleats Gele has also made its way to other African countries and abroad – check on Instagram and you’ll see Naija’s international makeup and Gele artists (like Segun Gele) tying it on their clients. Other names by which this style of pleated Gele is known: 6 yards Gele, full-pleats Gele, Megalieo Gele, multi-pleated Gele, multiple pleated Gele, highrise Gele, ankara print Gele. Many Gele artists already know how to tie the multiple pleated Ankara Gele, but @dmobilebeauties_peperempegele and @IsleovTea (both on instagram) are some of Nigerian Gele and Makeup artists said to have invented the trending 6 yards Ankara Gele. 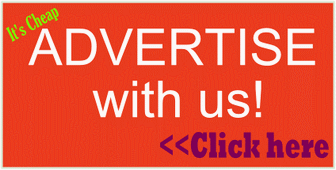 They have since been training others on how to do it – incase you want to learn face-to-face. On their Instagram pages, you can find loads of new pictures of the Inifinity pleats Gele and the new Gele styles they invent. We here at NaijaGlamWedding blog are loving the Infinity Pleats Gele, especially on Ankara fabics. The aso-oke version also looks fabulous on brides. So, have you tried tying this new multiple pleated Gele style? Tell us in the comment section down below. Hi Joy, you’re in the right place. Watch and re-watch our gele video tutorials for beginners and you will soon be an expert. Hello Anny, use pins to secure it here and there, and it will stay in place. Love your kind heart of teaching others how to look good. Am quite impressed. Thank you. This video have added value to my knowledge of how to tie infinity gele style that will make me to stand out among my pals. Love you. You’re welcome, dearie. Be sure to check back for more video tutorials on new styles of tying Gele. Oh, click here and you will see plenty of our featured beauty and fashion tutorials that will make you everly shine in any occassion or wedding.